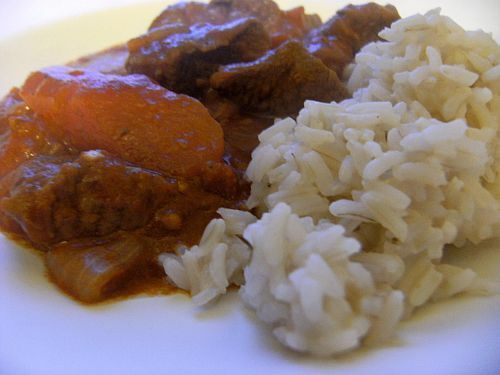 Donal’s Hungarian Goulash and Brown Rice as eaten by I Can Has Cook? One of the best things about The Irish Blog Awards, in my opinion, is how it helps all of us bloggers/blog readers to unearth new blogs that we may have been unaware of. It’s a chance to discover new favourites and a way of seeing how active the Irish blogosphere really is. Instead of relying on my small library of cook books and the BBC Good Food guide, for the next few weeks I’m going to try to work my way slowly but surely through the longlist of the nominated Food & Drink Blogs. There are quite a few that I look at regularly, but I realised I’ve only ever drooled over the photos, without actually making proper use of them. And so, let’s keep it local from here on in! I can’t promise that I’ll be able to work through the Drink blogs – the fact that I’m taking a break from booze for the time being may hinder me in that respect – but I’m going to start on my little journey through some of our Irish foodie blogs withThe Good Mood Food Blog. I was in the mood (sorry) for something warming this Friday night as it’s been chilly here the last few days, but I also wanted something super simple after a busy week. In the end, I went for Donal’s Hungarian Goulash. The recipe was very simply laid out, easy to follow, requiring minimum effort from the cook and with a delicious end result. My favourite type of dinner. 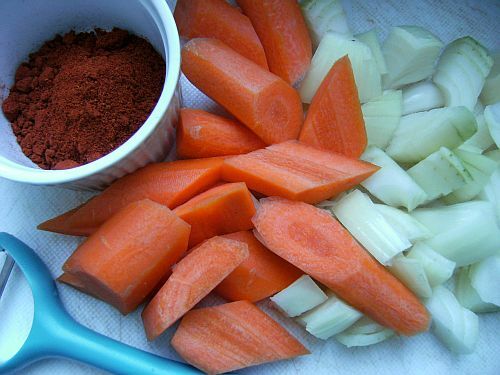 I followed his recipe almost exactly, but I added in a few carrots as they needed using. If, nay, when I make this again, I might try it out with a red pepper, sliced and fried along with the onions, before popping into the oven. Although the peppers would probably disintegrate into the sauce, I think it would be add a lovely complimentary flavour paired with the paprika. I would also add a chopped red chilli to give it a bit of an extra bite. But maybe then it wouldn’t be a goulash anymore! 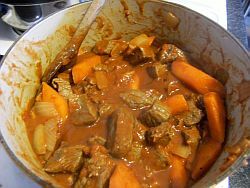 Hungarian Goulash after a 2 hour low-heat cook in the oven. Yumzers! Head over to Donal’s lovely blog for the full recipe and his infinitely more beautiful pics. I’ve fallen in love with a new band this week – they’re called The Morning Benders, and please, don’t be put off by their name. They’re from San Francisco and they’re just totally amazing. Follow the link below to their tune Excuses on The Hype Machine. Also, my RTE 2xm show Right Click Radio is now available for streaming on SoundC loud. You can have a listen to it below. Hope you like! Wow, that looks really REALLY good. I love goulash. We’re not eating beef anymore, unfortunately (unless some one else cooks it for us) but I think I could do that chicken or pork… What do you think? It’s making this Sainsbury’s easy cook tortelloni totally go down like shards of glass. Hey Ben – haha sorry about the shards of glass I don’t see why this wouldn’t work with pork or chicken. Lamb would be great too – but do you guys eat lamb? I mentioned to my Mongolian students that I was cooking lamb over the weekend and they were HORRIFIED. They were like “We don’t eat babies in Mongolia”. I felt pretty f’ing baaaaad. Sorry. That ‘baaa’ bit was uncalled for. Hi lady – glad you liked the show! I like that new BSS song but you have to check out The Morning Benders through the link to the hype machine, they are totally TOTALLY AMAZING. LOVE THEM. 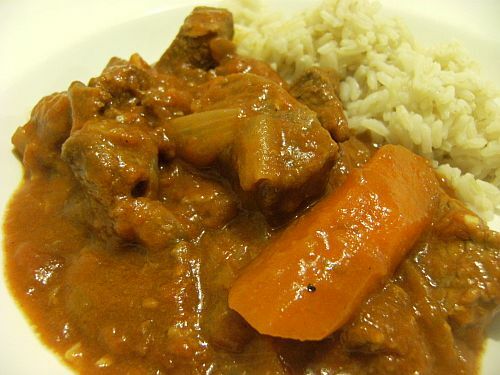 This was a tasty goulash all right – and SO easy to do. 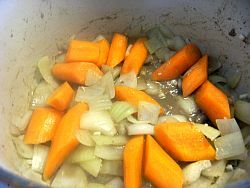 Donal’s recipe was really straightforward and easy to follow, and it worked out really well. Hi Therese! Thanks so much for visiting the blog. 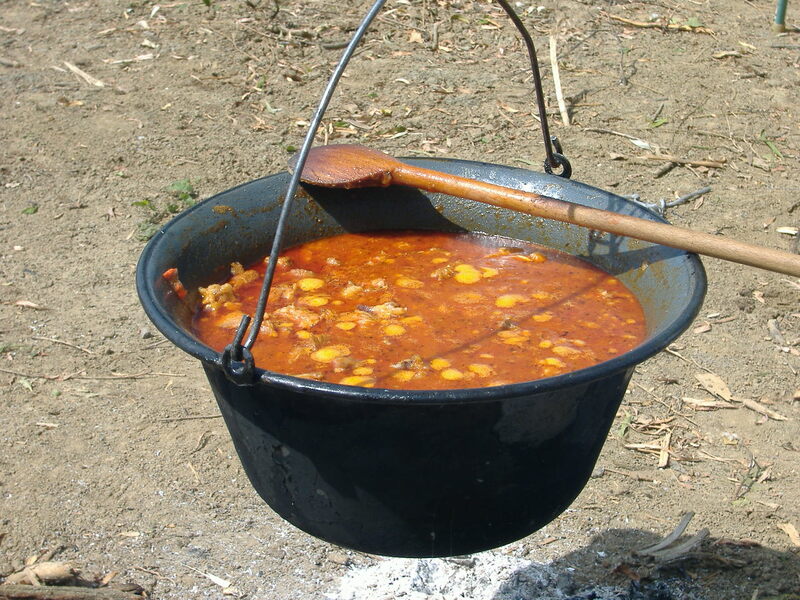 that’s NOT goulash – gulyás is a thick soup. the dish is similar to pörkölt. What host are you using? Can I am getring your associate link to your host? that over again. Anyhow, just wanteԁ to ѕay excellent blog!